If you have a desire to volunteer, we have many opportunities for YOU! Let's talk about how your skills and experiences can help to change a child's life. 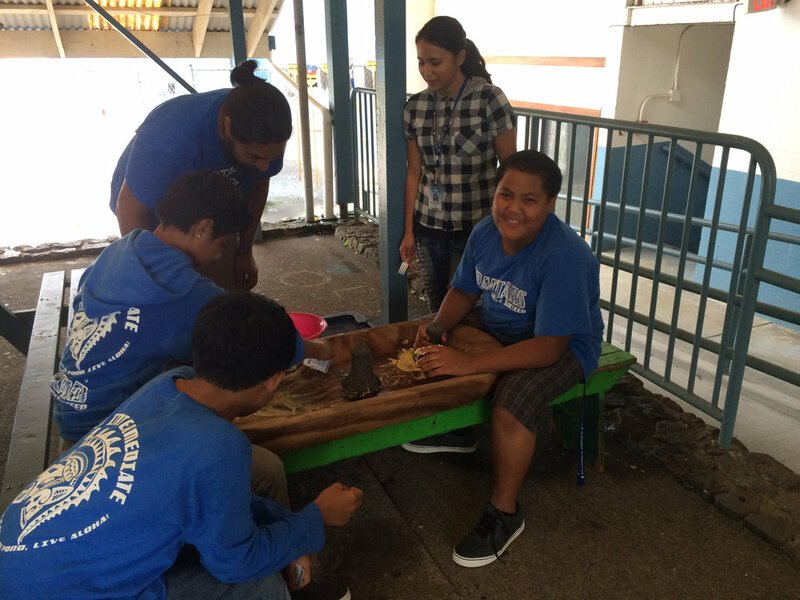 Teens participating in cultural-based activity. Whether you are coordinating a team building activity for your staff or seeking to be a part of building a better community, we have room for your passion and talent. Mel taking the mower out for a spin after fixing it. Mel has become our go-to handyman when our service equipment is in need of repair. So far Mel has fixed our power washer, riding lawnmower and is currently helping to service our many transport vehicles that bring community youth to our Clubhouse locations after school. Mel drives from Puna to our Hilo Clubhouse and asks for nothing in return. We are very fortunate to have him as part of our volunteer team. Data Entry at each of our Clubhouses (Hilo, Keaau, Pahala, Pahoa, Kealakehe). Clean and minor repairs at our Clubhouses. Enrichment activities with our members. Partner with us today to provide youth with the opportunities they need to graduate, ready for college or a career.